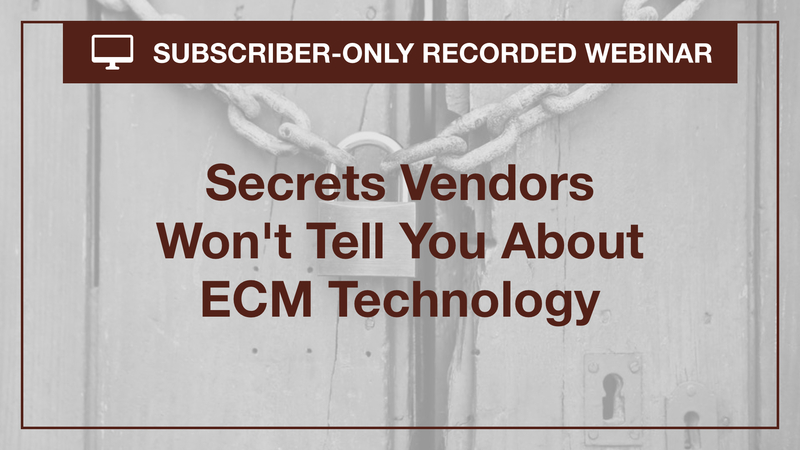 ECM is a complex marketplace and you’ll see vendors claiming they can do everything that you need. Inspite of that, scores of projects fail to deliver in one way or the other – there are cost and time overruns, often there are major bugs, users are unhappy or the final result doesn’t look anywhere close to initial scope. Unfortunately, ECM vendors are not always candid about the challenges you’ll face in leveraging their tool sets. Join Apoorv Durga for a rapid tour of common “gotchas” to avoid when selecting or implementing this technology. Whether you are still considering your options or you have already licensed a ECM platform, this session will reveal insider wisdom about how to do it right.